Vans and LCV’s are subject to the same tyre law as cars so they must have a minimum of 1.6mm of tread across the central three quarters of the tyre around its entire circumference. 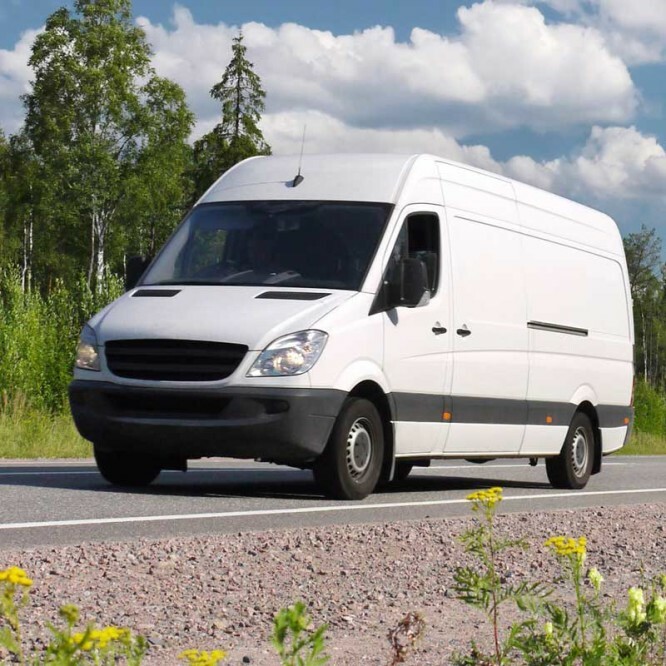 Van drivers and fleet managers can carry out a simple list of checks to make sure their tyres are safe and legal. Take a look at our six top tips for ensuring correct van tyres maintenance, and download our handy guide. Tyres on vans and light commercial vehicles (LCVs) lead a hard life, carrying loads and doing multiple drops, often in tough working environments such as construction sites. Economic pressure on businesses during the recession has also led to many older vehicles not being replaced. As a critical vehicle component, it’s important to carry out regular checks on vans of all ages to make sure their tyres are still safe and legal.